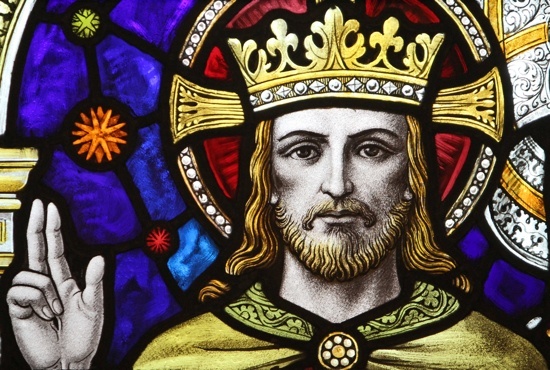 As David foreshadows Jesus, the first challenge from today’s readings is this: Where in my life is Christ not yet king? Is it my speech, that I haven’t given Christ control of my tongue? Is it in my hands or my knees, that I haven’t given Christ full kingship over my actions? What about my wallet, my time, my shopping preferences, the way I use technology? Or is it my mind and heart, where I realize that I exclude God from certain decisions, preferring my own plans and, perhaps, sinful habits? This can be overwhelming if we forget today’s Gospel, if we forget that Jesus is a patient, forgiving King. To the “good thief” who asks merely that he be “remembered,” Christ in his beneficent, magnificent mercy promises abundantly more: “You will be with me in Paradise.” The thief opened his heart a little, and Christ gave him more than he could imagine. Deacon Lange is in formation for the priesthood at St. Paul Seminary for the Diocese of Duluth. His teaching parishes are St. Thomas the Apostle in Corcoran and Sts. Peter and Paul in Loretto. Where in my life is Christ not yet king? What will I do this week to invite Christ to be king of those places in my life where he does not yet rule?